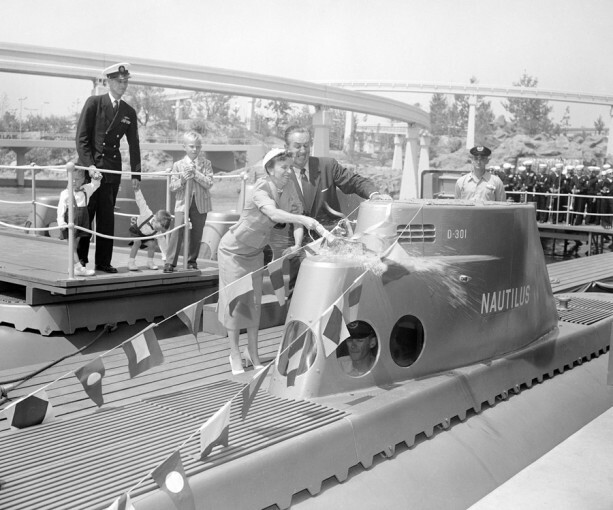 In anticipation of tomorrow’s 55th anniversary of a Monumental Day in Disneyland History, one of the best Disney Parks Blog posts I have seen since it launched was posted today. In the post, George Savvas of the Public Relations Department posted an insightful article on what happened on June 14, 1959 – a day many consider the second opening of Disneyland. The Disneyland-Alweg Monorail, The Submarine Voyage presented by General Dynamics, the Matterhorn Bobsleds, and three other attractions (The Skyway’s Glacier Grotto, Fantasyland Autopia, and the Motor Boat Cruise) all had there Grand Openings on this day (although some like the Subs which opened on June 6 were already up and running). What I like about the article is it uses artifacts like official correspondences and itineraries to piece together some answers to longtime mysteries (like why are the Nixon’s wearing different outfits in the Monorail dedication photos). Even as a Cast Member, I learned something new! Loving that the Disney Parks blog continues to give us great insights into historical items in the park (like the Windows on Main Street, etc.) as well as what the latest and greatest things are going on around the world in Disney Parks. The classic articles always remind me of Vault Disney show that used to be on the Disney Channel which would feature old Disneyland TV shows. I love Disneyland history and can’t get enough! This entry was posted in Disney on June 13, 2014 by clubjosh.